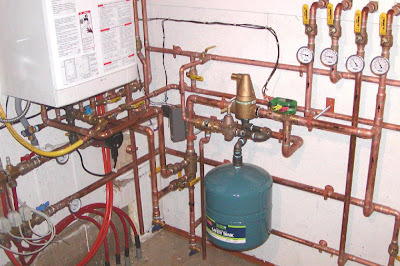 This is Norm's very nicely done solar space and water heating system. The system uses a large, unpressurized tank that serves as both the solar heat storage tank and the drain back tank for the collectors. 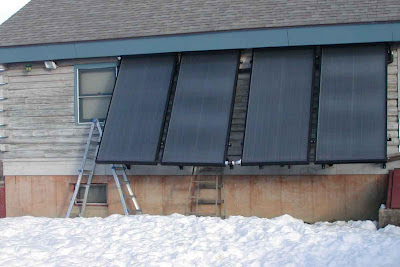 The solar heat is used both to preheat domestic water and also for space heating, which is integrated with a propane fired boiler. Heat is extracted from the tank using one heat exchanger for space heating and a 2nd for domestic water heating. Both heat exchangers are made from two coils of copper pipe with parallel flow and are very nicely done. 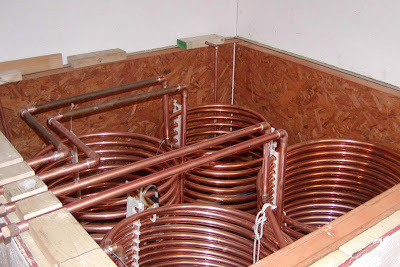 Norm provides good detail on making these heat exchangers. The system uses four Sun Earth flat plate collectors. 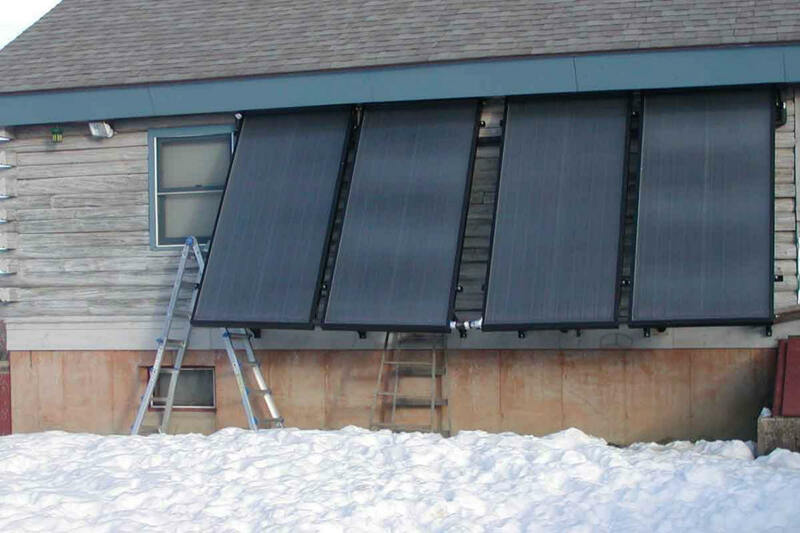 The four 4 by 10 ft Sun Earth Collectors. In Norm's system the boiler is integrated with the solar system such that the boiler only provides heat when the solar collectors cannot. Boiler is at upper left -- solar components are mounted on the tank wall. 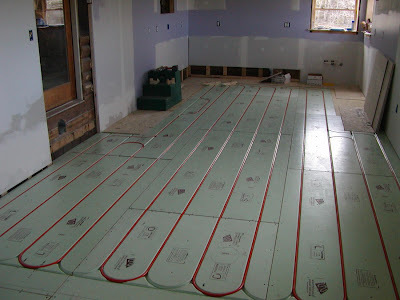 Heat distribution is to PEX runs in concrete and to the radiant floor done with Warm Board shown just below. Warm Board hydronic radiant flooring distributes solar heat.